Although Westminster is best known for its political affiliations, it is actually home to more enterprises and employees than any other borough in London. With part of the borough covering the world-famous West End, it is known globally for its contribution to the UK’s retail sector. Creative industries and knowledge economy are also big in Westminster, including the presence of the BBC’s main building. Whereas most boroughs in London feature between 5,000 and 12,000 enterprises, Westminster is home to more than 46,000. Since the economic recession of 2008, Westminster has lost 2.8% of its enterprises. However, the retail industry continues to thrive there, with people around the world seeing this part of London as an excellent shopping destination. One of the most significant employers in Westminster continues to be public administration and defence. Although they only share 40 enterprises between them, they employ over 50,000 people, primarily within large government departments that can be found at parliament, Whitehall, and other such buildings. In addition to public administration and defence, Westminster is home to 70,000 employees working in the food and accommodation sectors. 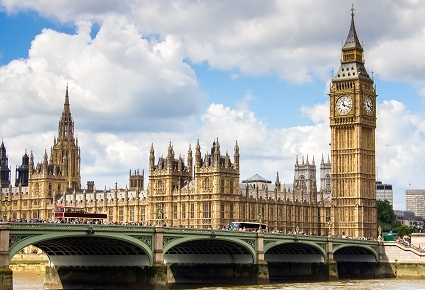 Owing to its popularity as a destination for tourists with a strong interest in shopping and its central location to key tourist attractions, Westminster features an abundance of hotels. The nighttime economy in Westminster is strong, as there is a considerable number of bars, clubs, and pubs present. In fact, tourism expenditure in Westminster accounts for around 15% of London’s tourism economy. Around 85 percent of Westminster’s enterprises feature less than 10 employees, which is higher than the London average. This shows that it is a place where small businesses can happily thrive, although the cost of running a business there tests whether the majority of small businesses can manage this. With 7 of the global 500 being based in Westminster, it’s clear that the borough is an attractive base for large businesses too. There is a significant media presence within the borough. Not only will you find the BBC’s headquarters there, you’ll also come across Pearson PLC and the Penguin Group, The Economist, and Kingfisher PLC. Travel and tourism giants include Easy Group, Korean Air, and Iraq Airways. Oil magnates also appear to be attracted to the area, with BP and Gulf Oil both having head offices there. Finally, there are brands that cater to the tastes of those who love delicate food, including Marks and Spencer and Pre-a-Manger. Many of these industries appear to be focused in the West End and St James’s, with areas like Bayswater and St John’s Wood seeing the least employment activity. In those areas with high employment, there’s a mixed hierarchical structure across many of the businesses, with a strong blend of junior professionals, unskilled professionals, and management teams. Since the economic recession, the average prime rent cost has dipped in Westminster. In 2008, those renting offices in the borough could expect to pay £120 per square foot. As of 2010, this number has seen a decline to £80 per square foot. However, there has been a nod towards evidence that these rates have continued to rise in line with the economic recovery. While £80 per square foot may be the average for those looking to rent an office in Westminster, aiming for one of the borough’s less industrious areas could see you pay rents as low as £42 per square foot. If you’d like to rent office space in Westminster, without paying the average rates, heading towards areas that are less saturated in terms of enterprises will work in your favour. The highest office costs in Westminster fluctuate from time-to-time, but can reach as high as £333 per square foot. For this, you can expect to find yourself at the heart of the area, flanked by some of the world’s biggest companies. For example, a location like Fleet Street. For further information on available office space in Westminster click here. The District and Circle lines run through Westminster, giving those who work there good connections with the rest of London. In addition, there are 11 bus services – including night services – connecting Westminster with the rest of Greater London, as well as a number of riverboats. For those who may need to hire employees looking to commute into Westminster, there’s London Victoria Coach Station and London Victoria Rail Station, both of which also offer excellent connections to Gatwick and Heathrow Airport. While setting up a business in Westminster is likely to be more expensive than working in other London boroughs, working in less saturated areas makes it less so. For this, you get excellent transport connections, a link with London’s most enterprising area, and a position in one of the city’s strongest tourism areas.